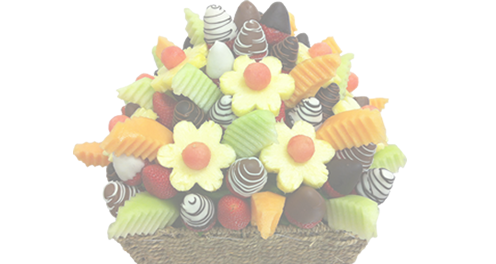 A bright and delicious fruity arrangement ideal as a centrepiece for parties and functions. A fruity basket of edible goodness. 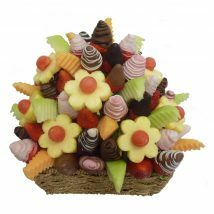 A bright and delicious fruity arrangement ideal as a centrepiece for parties and functions. 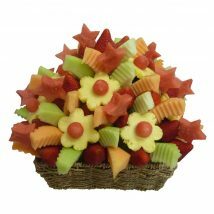 This succulent arrangement includes juicy pineapple flowers, watermelon, rockmelon, honeydew and sweet strawberries. 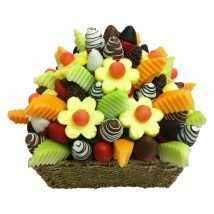 A fruity basket of edible goodness!